These knives are essentially right-angled gouges designed for carving areas where the full length of a conventional gouge will not fit. 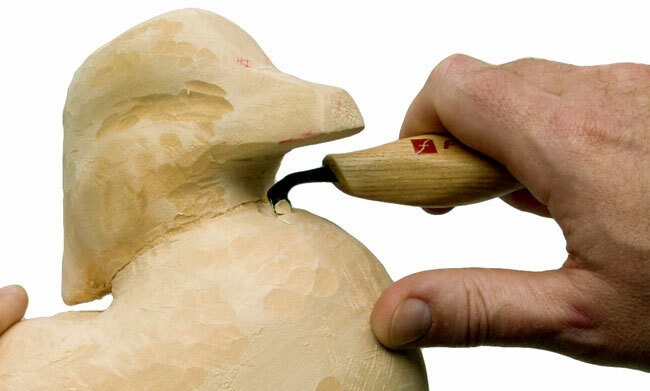 Knife carvers will find them useful for hollowing deep or narrow cavities. The handedness (right or left) of the knife should be choosen by how you carve, not necessarily by if you are left or right handed. Choose a right-handed knife if you are right handed and carve with the blade towards you. If you carve away from yourself, choose a left-handed knife. Left-handers should choose the inverse. 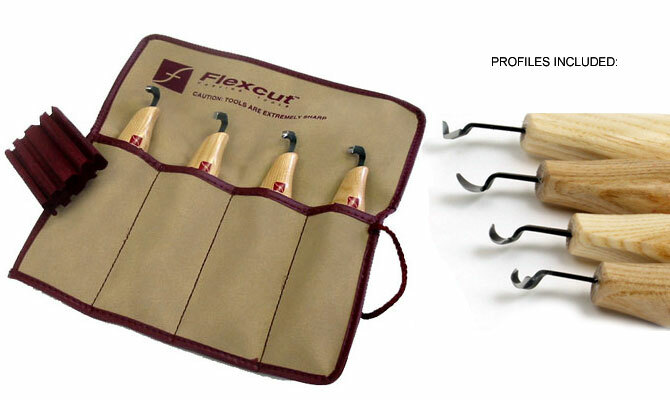 Our new Scorp set puts all of our scorp profiles into one handy tool roll. 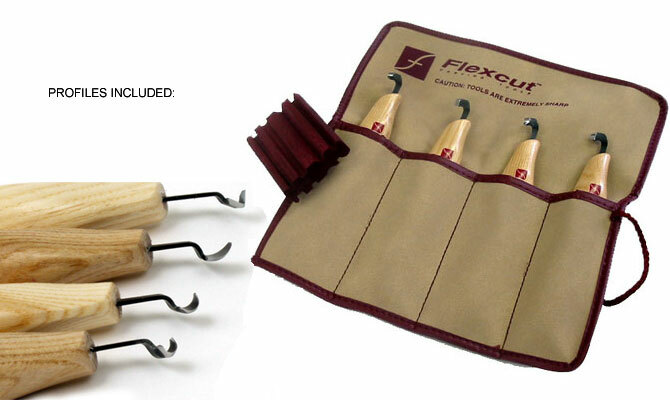 As an added bonus each set includes a specially shaped strop (compound not included) to help maintiain the edge of these unusually shaped tools. 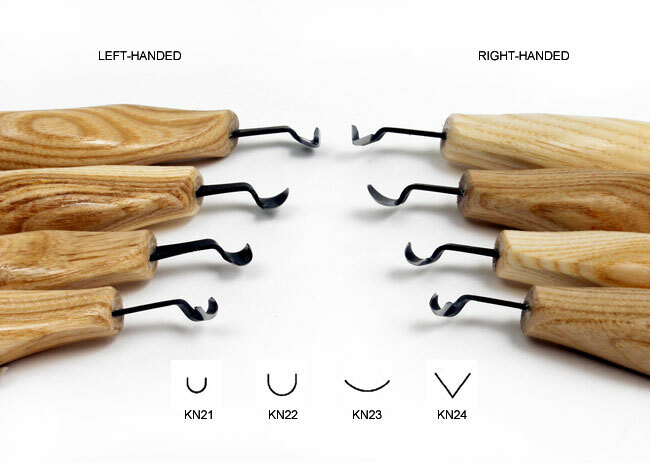 Choose this set if you are right-handed and want to cut towards you or if you are left-handed and prefer to cut away from you. Includes: KN21, 22, 23, 24. Choose this set if you are left-handed and want to cut towards you or if you are right-handed and prefer to cut away from you. Copyright © 2011 Nutmeg Woodworking and Carving Shop, Inc.